It isn't only women that are affected. Men are not at risk for eating disorders. One of the first two cases of anorexia reported was in a male. In a study of 10,000 residents of Ontario, the University of Toronto researchers found that 1 of every 6 people who qualified for a full or partial diagnosis of anorexia was male – substantially more than the 1 in 10 usually reported in studies of patients in eating-disorder programs - New York Times, 2005. Actor Ashley Hamilton Battled Bulimia And Anorexia George Hamilton's actor son has opened up about his struggle with anorexia and bulimia to help others battling eating disorders. Read the article here. 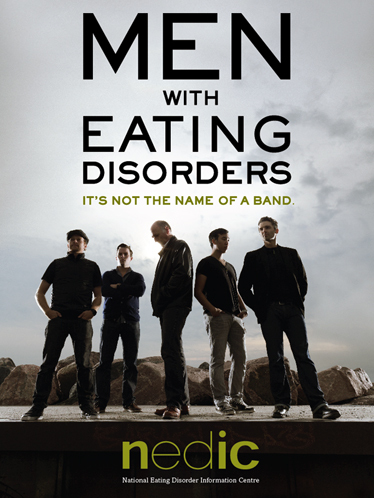 Click here to read the article on the Eating Disorders in Men.